Contributions to charities can be good tax deductions for couples, as well as benefiting the organizations and the people they serve. Most taxpayers are unlikely to reach the limit on how much can be deducted, because the Internal Revenue Service caps charitable donation contributions at half of adjusted gross income, whether it's a single taxpayer or a couple filing jointly. A couple with $200,000 adjusted gross income could donate $100,000. 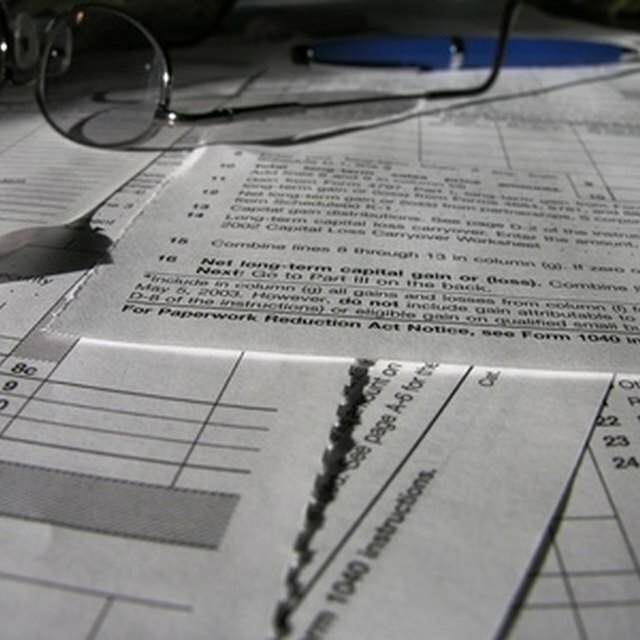 A couple must itemize deductions on a Form 1040 Schedule A to claim charitable donations. Donations must be to a qualified charity, typically one granted tax-exempt status as a 501(c)3 organization. That includes churches; humanitarian organizations like United Way and Goodwill Industries; most educational institutions, hospitals or medical research facilities; and some private foundations that support charities. Taxpayers should get receipts for all donations, whether they are cash or non-cash items like used household goods. For gifts over $250, a cancelled check or bank record suffices for cash and a written receipt from the organization for non-cash items. Cash contributions over $250 require a written receipt from the charity, with the date and total of contributions if you made more than one. Non-cash donations over $500, either for single items or in total, must be documented on a Form 8283. Any non-cash donation over $5,000 need an appraisal of value. In eight community property states, couples have to combine contributions, but in other states couples can file separate returns to take advantage of deductible contributions by having one spouse itemize all donations. However, both spouses must file itemized returns. The same income limits apply to each spouse, so a higher-earning spouse could reduce taxable income with charitable deductions while a lower earner took no deductions. Some gifts are limited to 30 percent of income. These are gifts to groups like veterans organizations and fraternal societies. A 30 percent limit also applies to donations of capital gains properties to 501(c)3 charities, unless the fair market value of the gift is reduced by the amount of capital gain at the time of donation. Deductible donations can include mileage or other expenses for a vehicle used for charitable work or postage for mailings for a charity, but not any compensation for the time or services donated. Any donations for which you receive something of value in return, such as a dinner or a commemorative gift, have to be reduced by the value of the item. A $100 donation for a charity dinner, for instance, must be reduced by the cost of the meal. Any donations for which you are reimbursed by the charity are not deductible. All non-cash contributions are limited to the fair market value of the donated items, whether used clothing, stocks or property. Used items must be in good condition, and paintings and art objects must have a written appraisal if the value is more than $5,000. Donations of cars and boats must be reported by the charity on a Form 1098-C showing the proceeds from the sale of the item or its fair market value.